McALLEN — A 15-month prison sentence was handed down in the case of a former U.S. Army veteran who said he was merely helping a friend. 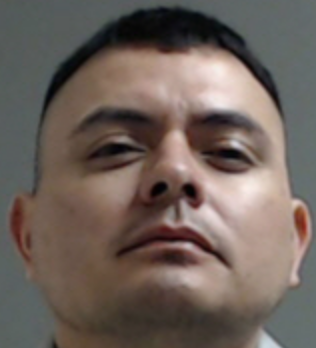 Narciso Zapata, of Pharr, will serve seven months in federal prison after already being held in federal custody for more than eight months after U.S. District Judge Ricardo H. Hinojosa handed down a 15-month prison term with two years supervised release on Thursday. Zapata, who apologized to the court, his family and his peers during his sentencing, said he made a mistake when he tried to help out a friend who was interested in smuggling assault-style weapons, specifically AK-47s, into Mexico. The 37-year-old man last served in 2012 after 14 years in the U.S. Army, which included four tours — two in Iraq and one each in Afghanistan and Pakistan. He said he was not paid for reaching out to another person in furtherance of the attempt to smuggle the weapons. Government prosecutors conceded Zapata was a “minor” participant in the alleged scheme to move 10 AK-47s into Mexico — specifically Zapata called someone he knew to inquire about purchasing the firearms. “I didn’t do it to better myself, or for money,” Zapata told the court during the hearing. Hinojosa took consideration of several factors and ultimately decided to impose a sentence less than the recommended sentencing guidelines. Zapata’s troubles began on June 1, 2017, when unbeknownst to him, the man he called turned out to be an undercover special agent with the Bureau of Alcohol, Tobacco, Firearms, and Explosives, the criminal complaint states. A day later the undercover agent called Zapata and agreed to sell him 10 AK-47 rifles, the court record shows. Three days later, the criminal complaint states, Zapata told the undercover agent he would be receiving the money for the purchase of the rifles from people living in Mexico. In an interview with federal agents, Jose Manuel Lopez-Gallegos admitted that he was instructed by an unnamed co-conspirator to negotiate and buy weapons on his behalf that were then to be smuggled by the co-conspirator, into Mexico, the record states. That’s when Lopez-Gallegos reached out to Zapata, who told Lopez-Gallegos of the offer to buy the AK-47 rifles. According to the indictment, Jose Juan Rodriguez Jr. was the person funding the purchase of the rifles. When Zapata and Lopez-Gallegos met with the undercover special agent at a sporting goods store in Edinburg, Lopez-Gallegos told the agent he didn’t have the full amount for the 10 AK-47s, but had enough to buy four Ak-47s, the complaint states. “Lopez-Gallegos said that once they had purchased the AK-47 rifles, the rifles would be given to the unnamed co-conspirator in order to be smuggled into Mexico,” the complaint states. Last October, Zapata pleaded guilty to count two of the superseding indictment, smuggling goods charge, in exchange the government agreed to dismiss the remaining two counts he faced. Another man, Jordi Gonzalez, 26, of McAllen, pleaded guilty Tuesday for his role in the weapons smuggling attempt, specifically Gonzalez recruited Perez-Martinez to buy firearms that were intended to be smuggled into Mexico. “Gonzalez also instructed Perez-Martinez to recruit other individuals who would be willing to assist in purchasing of firearms,” the indictment states. Gonzalez is set for sentencing in his case for June 27. The remaining three co-defendants, Gerardo Perez-Martinez, who was not named in the original indictment, Rodriguez and Lopez-Gallegos are set for sentencing at the end of April, according to court records.